E-commerce offers the promise of opportunity for small and large enterprises alike, but competition is fierce. Any tool that gives you an edge is worth exploring and there are plenty of automations that will lower your overhead and streamline your sales. The following are only a few reasons to explore automation tools. Here is a list of 20 automation tools worth your attention. 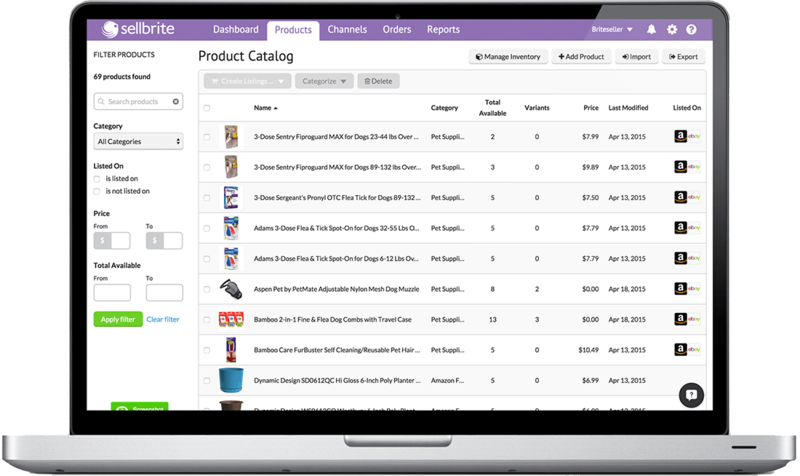 Sellbrite is a cloud-based tool that simplifies multichannel listing and inventory management. It also helps with order fulfillment and provides reporting tools. Yotpo is designed to help you generate more reviews, thus increasing sales and building community. Pardot, by Salesforce, enriches your B2B marketing automation. This multi-functional platform provides marketing automation, customer engagement marketing, real-time personalization and marketing management functionality. Sends marketing messages to customer lists that are chosen according to their unique interaction with your business. This all-in-one marketing tool accelerates sales, optimizes content, manages leads and coordinates campaigns. Canterris is a well-rounded e-commerce marketing automation tool. Oracle Eloqua helps e-commerce businesses simplify and energize marketing automation. It’s ideal for small, mid-sized and large enterprises alike. Short for “If This, Then That”, this tool links different web tools and services with user-created “recipes”. IFTTT allows users to define a trigger and a consequence, linking two different apps or tools. Manages all social media accounts within one app. The dashboard features enhanced analytics reports, message scheduling, app integrations, RSS, team members, message archiving, geo-targeting and Hootsuite University to enhance your knowledge of the tool. 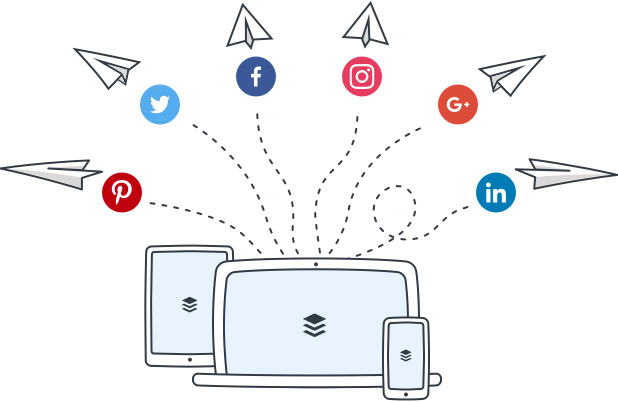 Buffer provides an e-commerce software solution for messaging across social media platforms. It integrates with common social channels such as Twitter, Facebook, Google+, LinkedIn, Pinterest and more. AdRoll is a popular retargeting and prospective platform for ecommerce businesses. It helps businesses attract new prospects and convert customers while enhancing customer value. This social media management tool helps track social media messages, monitors brand keywords and customer profiles, and engages in two-way communication. 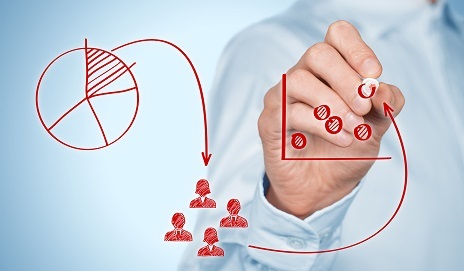 Sniply is a powerful tool that helps marketers get more returns on their links. It’s designed to leverage content curation and drive targeted traffic back to your website. Tailwind is a platform that helps brands achieve visual marketing success. Tailwind helps businesses manage and optimize their visual campaigns from end to end. This tool allows you to integrate your order management system (OMS) and accounting system with the help of mobile-optimized versions of stores and tools. The included SmartSite manager helps you change store promotions, prices, images and products in the web store. This service offers hosting, store design, SEO, mobile commerce, marketing and inventory tools. BigCommerce also helps integrate your web stores with eBay listings. This point-and-click interface allows easy design publishing for online stores. It features a merchant account that enables businesses to move beyond PayPal payments and offers an auto-syncing Facebook extension to create a Facebook Business Page. The advanced SEO and analytics features enable the user to pick a template, optimize its design, add a product catalog, and create blog posts. Tracks customer purchases and shopping cart transactions with Google Analytics integration. Creates store performance benchmarks with built-in analytics. Provides easy listings for eBay, Amazon, Facebook and your web store. Vendio features inventory control, sales and order management, email marketing, a shopping cart with drag-and-drop useability, and an analytics report. Integrates with Google Analytics. Searchmetrics is a content experience and SEO suite that brings rankings and traffic benefits to brands. This suite helps by removing guesswork in online optimization. It offers competitive insight and market analysis. As content marketing grows, web developers continue to create content marketing tools that every marketer should be aware of. These website content creation tools give you an edge, providing inspiration and saving time and money in many areas of web marketing. Web writing needs to be simple and clear. Named after the famous author who specialized in straightforward prose, Hemingway Editor identifies unnecessary complexity in your writing so that you can remove it. This app looks for complex sentence structures, common errors, passive voice and other markers of hard-to-read writing. Each issue is highlighted with a different color, providing a useful guide for the writer to improve. This design software for non-designers gives the user access to professionally-designed templates, as well as thousands of stock images. Canva’s designs are useful for web content such as social media banners, blog graphics and presentations. 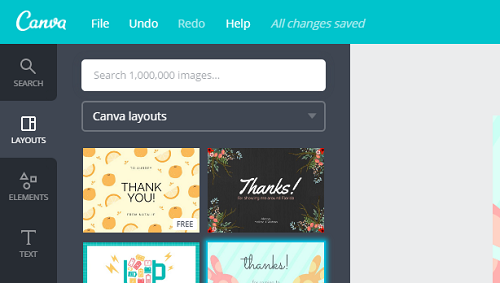 Depending on your needs, Canva has a free option and a paid version. Unsplash is a free stock photo site with high-resolution photos for your use. Because the images are licensed under the creative commons license, you are free to use, modify and publish any of these photos. 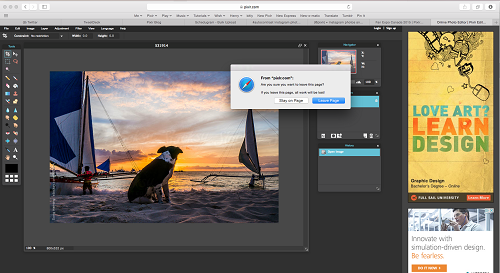 Pixlr is a free, high-quality photo editor that offers the level of functionality that most businesses need to edit their images. Add effects, crop, rotate and make simple touch-ups in a web-based tool. This web tool lets you enter any topic and gives you keyword suggestions from several top sites and search engines, such as Google, Bing and Amazon. When you need a little inspiration to find keywords variations, Soovle helps immensely. It also lists the current top search terms in alphabetical order, with icons showing where each term is trending. This simple web tool helps you create engaging and attention-grabbing headlines for your web content. Simply type in your topic to the Content Idea Generator and hit enter to get an idea. Click the refresh icon to get more ideas to inspire you. 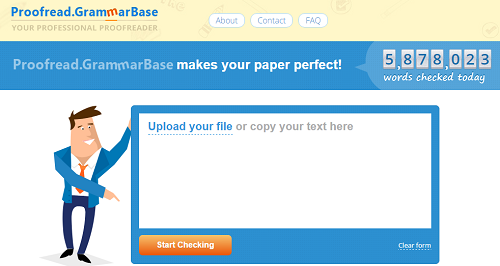 Upload your text into this web tool for a quick analysis of spelling and grammar. For more extensive editing services, you can hire Proofread.GrammarBase‘s editors to go over the text with a fine-toothed comb. CoSchedule helps organize campaigns and projects with an editorial calendar and workflow management tools. Grammarly is a browser extension that automatically checks your writing for spelling and grammatical errors. It’s like having a proofreader over your shoulder at all times and improves your writing while catching typos. Even professional writers and editors use this tool to enhance their work. As an e-commerce business grows, its content creation needs multiply exponentially. Just as the catalog of product descriptions increases, so do the requirements for content across multiple channels. And because the internet never sits still, these channels and their formatting requirements are always on the move, making it difficult for businesses to keep up. Large-scale e-tailers rely on a team of writers and editors. Each of these factors adds complexity to content creation. In order to simplify, strategic marketers look to content management tools to keep everyone organized and streamline their workflow. Content creation platforms can automate many tasks and keep the work moving forward efficiently. But what factors go into making the best content-focused automation tools? Here’s an in-depth look at the top four features of a powerhouse content creation platform. Every project is different, and so every project requires a different approach. The approach starts with high-level planning and workflow. 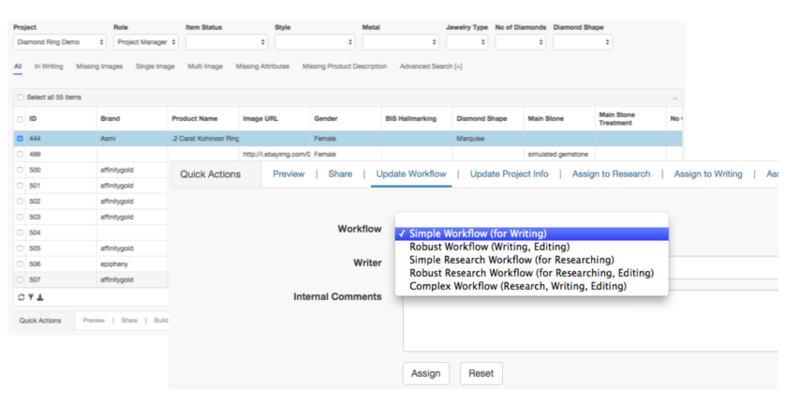 A strong content management tool offers complete control over every step in the content lifecycle. When you’ve got multiple projects on the go (and what organization doesn’t?) your platform should track each campaign so everything stays organized and flows properly. The more people you have on your content team, the more challenging it can be to keep everyone on the same page. A robust content creation platform does just that, allowing easy communication and synchronization between every team member. With real-time updates, managers can get answers quickly when deadlines are looming and push notifications to team members as needed. Workforce management tools are also essential to evaluating a project and looking for areas to improve. Every brand has standards: grammatical preferences, tone, special terms, forbidden terms and the like. These need to be displayed and enforced throughout all content areas. For projects with particular formats, brand guidelines are often adjusted to stay within content parameters. A proper content creation platform displays and enforces brand guidelines while giving project managers the ability to add special instructions where needed. A strong content creation platform provides customized formatting capability to simplify content deliveries and publication. From October 24 to 26, San Francisco will play host to the Share16 conference, and invite the world of digital marketers to share ideas, learn new tactics and get a front-row seat to the latest digital marketing innovations. Some of the world’s top SEO, content and digital brand marketers will join industry thought-leaders for a series of keynote and small-group sessions. At Share16, participants will benefit from an industry-driven agenda, as well as networking and collaboration opportunities throughout the weekend. With real-world case study session and an effective peer-to-peer approach, the Share16 conference’s goal is to boost your career and elevate your brand’s performance. Learn from speakers that represent some of the world’s top brands, including Alex Volk, Director of Traffic and Content Strategy for Microsoft; Adam Singer, Analytics Advocate from, Google Analytics; Amy Shipman, HP’s Global Digital Go-to-Market Strategist; and Jonathan Schmucler, YouTube’s Global Expert of Branded Content Strategy. Share16’s list of industry experts also includes the likes of Kelly Rivard, SEO Strategist for Hallmark Cards; Cindy Phan, Sr. Manager of Digital Demand Strategy for VMware; Dave Lloyd, a Principal Consultant of Optimization and Personalization at Adobe; Khurrum Malik, Head of North America Direct Response Product Marketing for Facebook; and Joyce Boland, VP of Global Applications Marketing for Oracle. Through lively discussion with industry experts, the Share16 digital marketing conference fosters professional development and a deeper understanding of changing digital trends and dynamics. Case study sessions will examine industry best practices and offer the opportunity for participants to learn how other marketers are addressing the challenges of the industry. Watch for CrewMachine’s team throughout conference sessions, including Alok Jain, Co-CEO & CMO; Deepak Goyal, Co-CEO & CTO; Rahal Shah, Chief Product Officer; Brad Curtis, VP of Sales; Houston Jayne, Customer Success; and Padmini Murthy, Marketing. Talk to us about solutions to help organize your digital marketing and streamline your content marketing. Opportunities to learn and boost your performance abound at the Share16 conference. Don’t miss out on this unique occasion.